Florida’s geography makes it susceptible to sinkholes -- with more than 19,000 documented cases. Some homeowners are literally living on top of the unpredictable phenomenon. NBC’s Kerry Sanders reports. 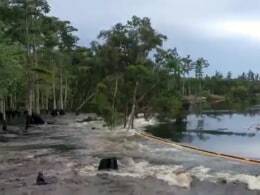 Possible sinkhole has residents on edge in Fla.
After storm, giant sinkhole opens up in Okla.
>>> people are still talking about the story that began our newscast last night. 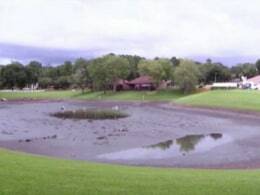 the giant sinkhole that swallowed a resort in florida near disney world in the middle of the night . turns out thousands of americans live on top of sinkholes or potential sinkholes, some of them unaware of the danger below. that's where kerry sanders goes tonight. 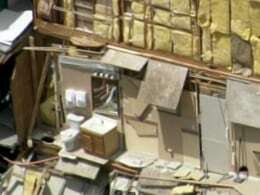 >> reporter: today a little good news, the sinkhole that swallowed a three story condominium hotel has not grown any larger. engineers examined the 100 foot wide hole and say there's no reasonable to believe it will expand. 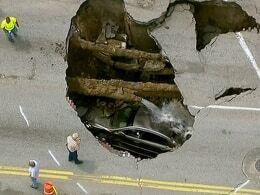 sinkholes are not unusual in florida . there are more than 19,000 documented in the sunshine state . most are in central florida . 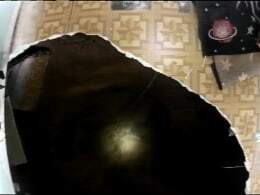 >> one of the larger cracks. 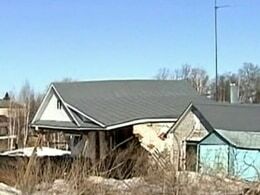 >> reporter: suzanner lick is living on top of one of those nightmares. crews worked to shore up the foundation of her home, after cracks in the floor revealed she's living on a developing sinkhole. 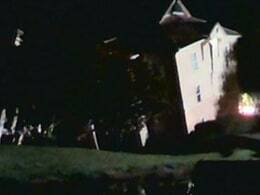 >> is some shift going to occur in the house that i don't know about? it's still a panic mode, until we get it completely done. 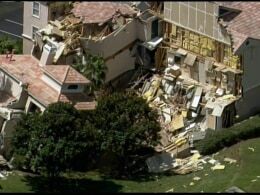 >> reporter: sinkhole insurance claims have nearly tripled over a four-year period and premiums have skyrocketed. some fear it will damage the recovering housing market here. >> sinkholes you can't predict. the more we see of these in this area, the more investors may say, maybe this is not the place for me to put my money. 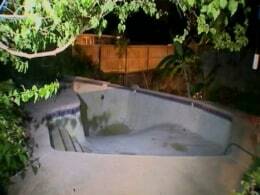 >> reporter: most sinkholes in central florida wind up filling up with water and becoming leaks. this is one of the rare dry sinkholes. it happened 15 years ago. and a hiker was coming by and says he literally saw a tree disappear. over the next four days it continued to grow. 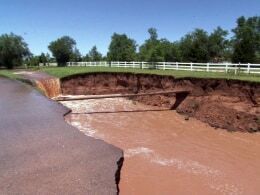 sinkholes occur in almost every state. the u.s. geological survey says the hotspots in addition to florida include texas, alabama, missouri, tennessee, kentucky and pennsylvania. it's turning into a costly and unsettling way of life . 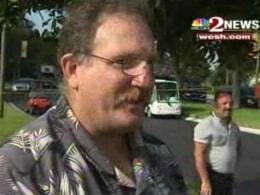 kerry sanders , nbc news, clairemont, florida .